If you run a WooCommerce store where you deliver different items or quantities depending on the day of the week, you might want to create a WooCommerce daily order form. With such a form, customers can select multiple quantity inputs per product for each day of the week, which makes it easy for them to create their entire weekly order on either a one-off or recurring basis. Bakeries – customers might want to set up a recurring order for a certain baked food, with different values each day. Coffee delivery – if you deliver coffee to businesses, you might need a system where businesses can choose how many containers they want to be delivered each day. Meal delivery services – whether you sell to individuals, schools or offices, you might want to let customers order a certain quantity for each day in advance or on a subscription basis. This works for normal restaurants, as well. 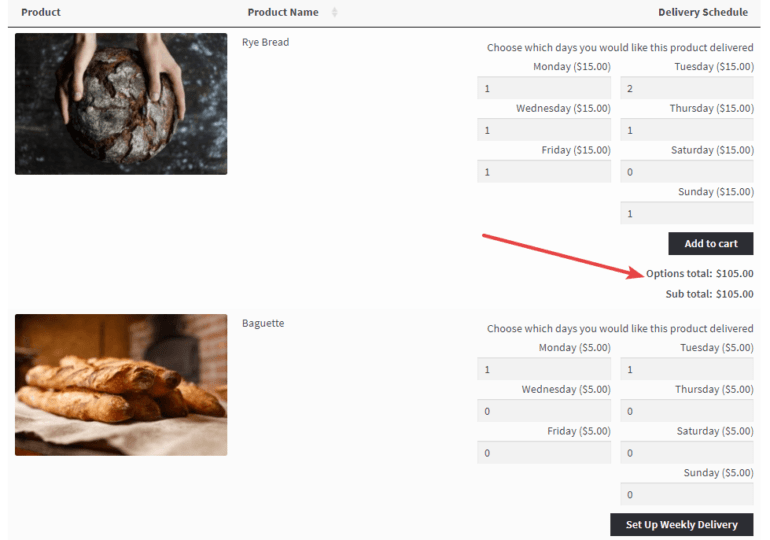 In this article, you’re going to learn how you can use a WooCommerce daily order form with multiple quantity inputs per product to let your customers choose how many items they want to order for each day of the week. You’ll also be able to make these either one-off orders or ongoing subscriptions, depending on your needs. But first, I’ll explain how your customers will use your days-of-the-week order form to place a one-off or regular order for each day. And then they can complete the checkout process as normal. Next, I’ll explain exactly how you can create a weekly order form to take daily orders from your own WooCommerce store. I’ll reveal which plugins you need, with full step-by-step instructions on how to set it up. Since this article is about WooCommerce, we’ll assume that you already have WordPress and WooCommerce installed on your site. 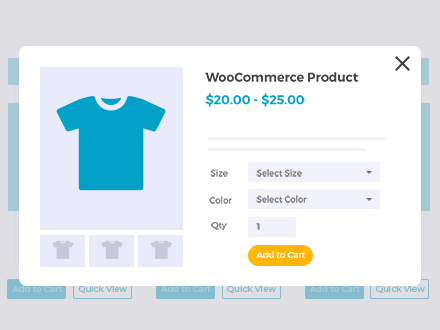 WooCommerce Product Table – required – this plugin lets you create a flexible table that includes any of your WooCommerce products. 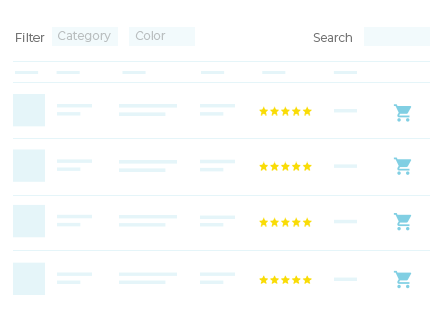 It’s what you’ll use to create the actual order form so that shoppers can see multiple products on one page. WooCommerce Product Add-ons – required – you’ll use this plugin to create a separate text entry field for each day of the week so that customers can choose a daily quantity for each product. WooCommerce Subscriptions – optional – if you want to let customers set up automatic recurring orders, you’ll need WooCommerce Subscriptions. But if you’re ok with having your customers manually place their order each week, you don’t need it. Now, I’ll show you step-by-step how to create the order form the example above. The only thing I will assume is that you already have WooCommerce installed and configured, as well as the required plugins from the list above. Ok, the first step is to add your offerings as Woo products and get them properly configured. Once you’ve filled out all the basic information, it’s time to configure the Product data box. This is where you’ll need to do things a little differently to make things work. For this first example, I’m going to show you how to configure things for a one-off order. In the next section, I’ll share how to adapt it to subscription orders. Because you’re making the product’s price 0, it’s important that you don’t display the normal WooCommerce catalog so shoppers can’t access the 0 price item. Or, if you do still need to use the regular catalog, you can hide these products from the public parts of your store. For example, schools might need to create a private area for taking orders for school dinners. Enter something like “Day Of The Week” for the Name (this will display on the checkout page, but not on the weekly order form). Do not check the Required Fields option (unless you want to force customers to purchase this product each day). Use the New Option button to create an option for each day of the week. Enter the unit price of your item in the Price column for each day of the week. Enter 0 in the Min column for each day of the week. And that’s it! Make sure to publish your product. 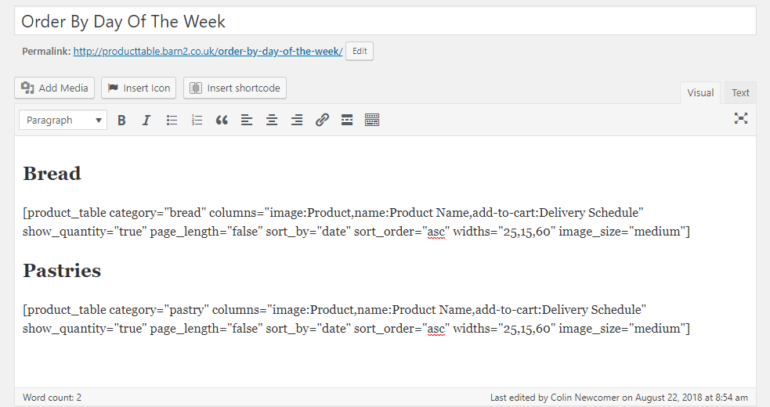 Then, repeat the process for all the items you want to include in your WooCommerce weekly order form. What if you want people to order on a recurring basis? If you want to have people sign up for a recurring subscription instead of a one-time purchase for each week, the process is almost identical. You just need to change one thing. 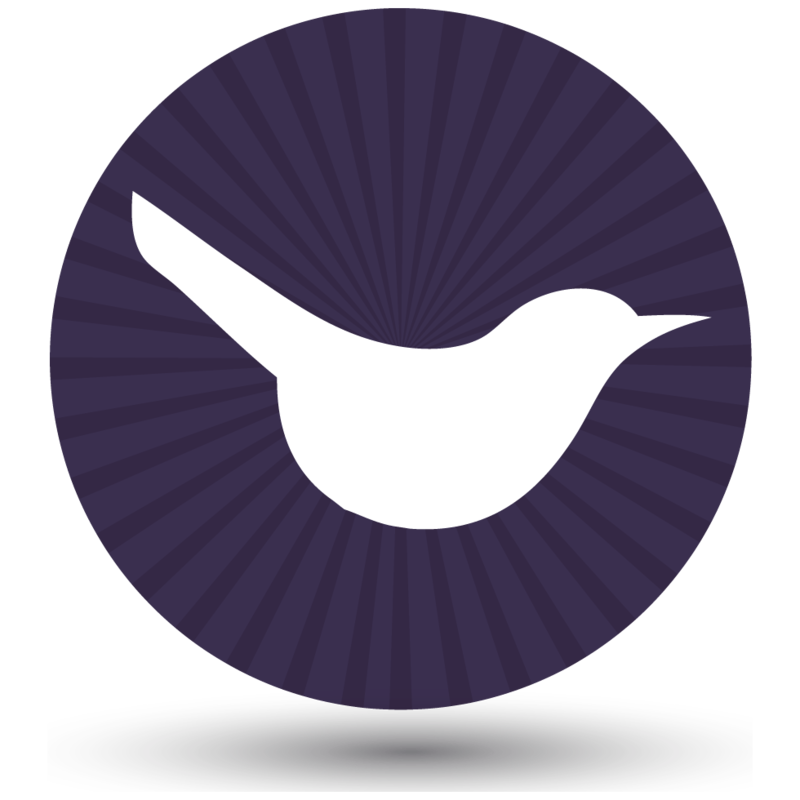 Remember – you will need the WooCommerce Subscriptions plugin to do this. Enter 0 for the Subscription price (when users choose the day of the week, it will add that price to the subscription charge). Use the dropdowns to choose the duration of the subscription. Enter 0 for the Sign-up fee. Then, perform the other steps shown in the section above. At this point, you’ve already done the heavy lifting! 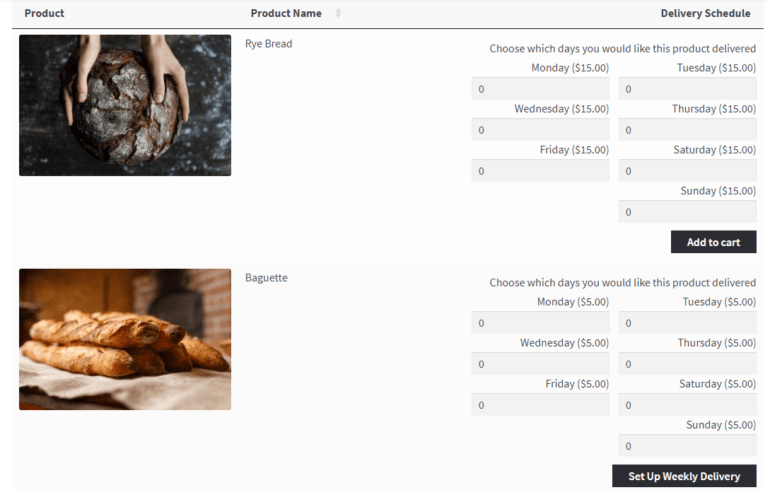 Now, to finish things out, you just need to create the actual WooCommerce daily order form using WooCommerce Product Table. The easy way to take daily orders of WooCommerce products. Make sure to change category="bread" to the actual category of products you want to display. Or, if you want to display all products, you can remove this parameter. If needed, you can also edit the columns option to include more, or less, information in the daily order form. Similarly, you can change the column headings. To finish things out, make sure to Publish your WP page. That’s fine if you have a relatively small number of products. However, you might want to tidy up the daily order form so that each product takes up less vertical space. Add quick view buttons to the WooCommerce daily order form. Customers click on the quick view buttons to view the daily options that you created in Step 1 in a lightbox popup. They enter their selection for each day, click add to the cart, and then return to your WooCommerce daily order form where they can add more products. It’s an excellent way to keep customers on the daily order form page, without being taken to a separate page for each product. But at the same time, you can keep the order form clean and minimal. It’s the best of both worlds. Let customers choose their daily orders from a quick view lightbox. 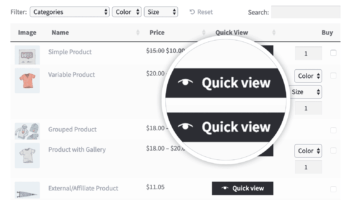 WooCommerce Quick View Pro is the only WordPress quick view plugin that is specifically designed to work with WooCommerce Product Table and Product Add-Ons. They’re the perfect combination. Create your WooCommerce daily order form today! 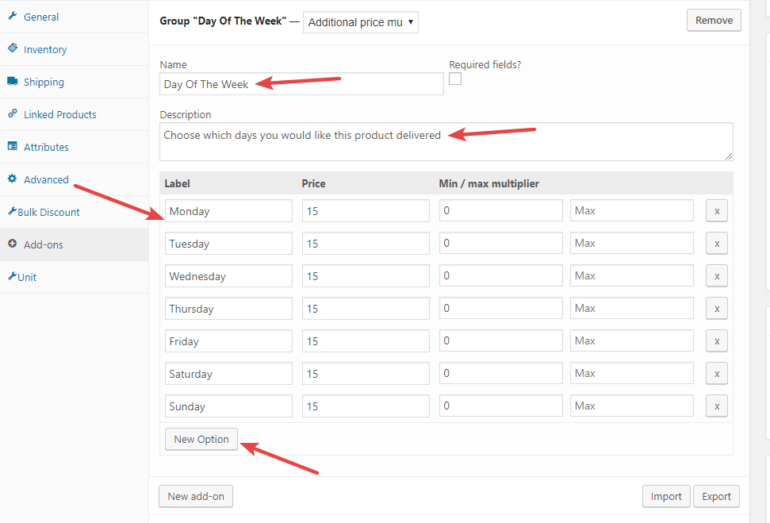 By using multiple quantity fields for each day of the week, you can make it easy for customers to order different quantities depending on the day of the week. Remember – for one-off weekly orders, all you absolutely need is WooCommerce Product Table and WooCommerce Product Add-ons – plus WooCommerce Quick View Pro, if required. And if you want to tack on recurring orders, you can add in WooCommerce Subscriptions to manage that. Have any other questions about implementing a WooCommerce daily order form like this? Let us know in the comments! Hi, we hope to create a video tutorial to go with this article in the future. In the meantime, I hope the written instructions are helpful for you. Feel free to reach out if you have any questions. Here i have a question , while activating the subscription , will the subscription will cut the money on day wise and not all at once? Hi, it's pretty flexible and you can choose how often the money will be taken. You can set up initial payments, ongoing amounts, free trials, etc. Hi, please could you send more information about what you're trying to do at suppoert@barn2.co.uk. We'll be happy to advise on the best way to do it and which plugin you need. I am working on ecommerce project.And the required functionality is that the customer should be given a facility to order multiple quantity based a week, This functioanlity is done (reference from your blog). Now the problem arise that it takes all the money all at once and it dosnt charge day wise. that seems inappropriate. 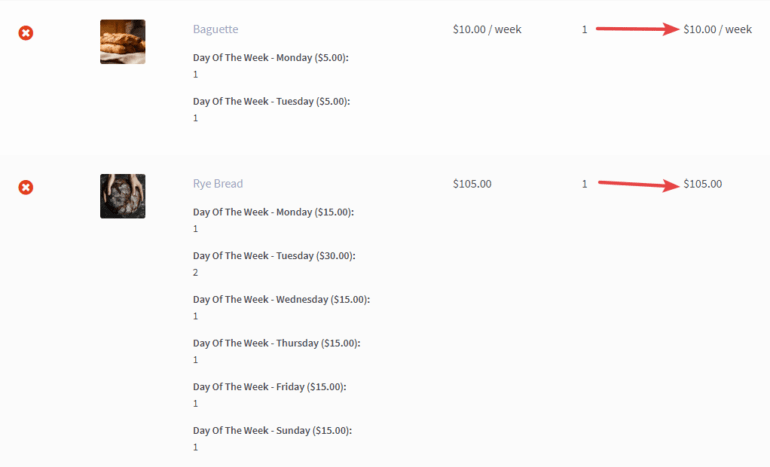 so my plan is to make the customer pay only for a day and followed same for recurring orders. eg :- if i select one product for monday and 2 product for wednesday then my cart should charge me only for monday and after monday it should deduct my money for wednesday! ( note :- i am buying product day wise all at one for a week). 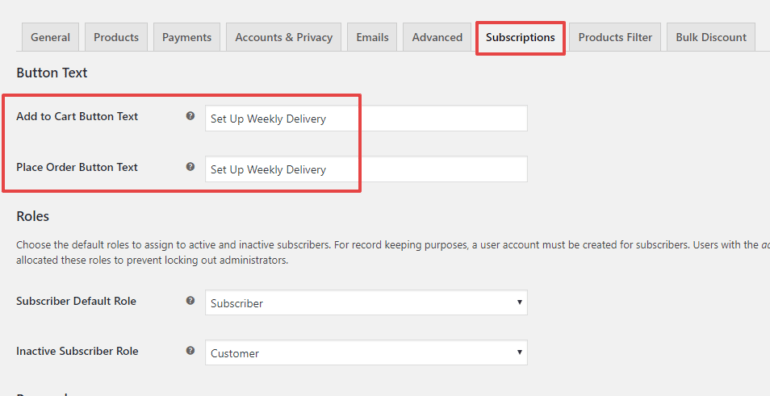 You should be able to set up a weekly payment schedule like this with WooCommerce Subscriptions. Use Product Add-Ons (as described in the article above) to let customers whoo what they require on each day, and use WooCommerce Subscriptions for this product to set up the payment schedule.